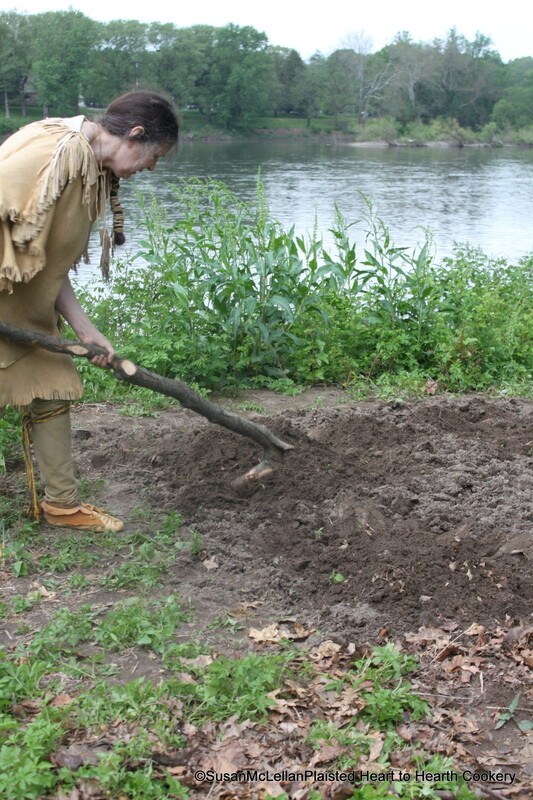 A hoe was used to prepare the hills for planting. Hoes were traditionally made with a bone blade , shoulder bone, or wood with a fitting, natural angle. The hoe pictured is the latter.